SPOILER WARNING—If you haven't seen the film, tread carefully. The track listing included below ultimately outlines the entire story of Cars 3. Since the original Toy Story, composer Randy Newman has played a significant role at Pixar Studios—contributing to the tremendous heart and soul of many of their films (including the original Cars) by creating beautiful, memorable and endearing musical scores. His signature style is instantly recognizable; a style which I've never heard repeated or mimicked by any other composer in the slightest. When I think of Pixar, I often synonymously think of Mr. Newman and was absolutely thrilled to hear that he would be returning to the Cars universe with Cars 3. 21. "The Fabulous Lightning McQueen"
Not only do we get some beautiful new melodies, but Newman does what great composers do by returning to familiar themes and motifs from the original film. Musically speaking, this helps bridge the gap between movies and brings McQueen's story arc full circle (which perfectly matches what's happening visually on screen as well). Newman is a classic composer who understands the importance of "musical storytelling", an art that seems to be fading away in the modern world of film scores. This track starts off with some slow and emotional strings before transitioning into a vigorous action piece. 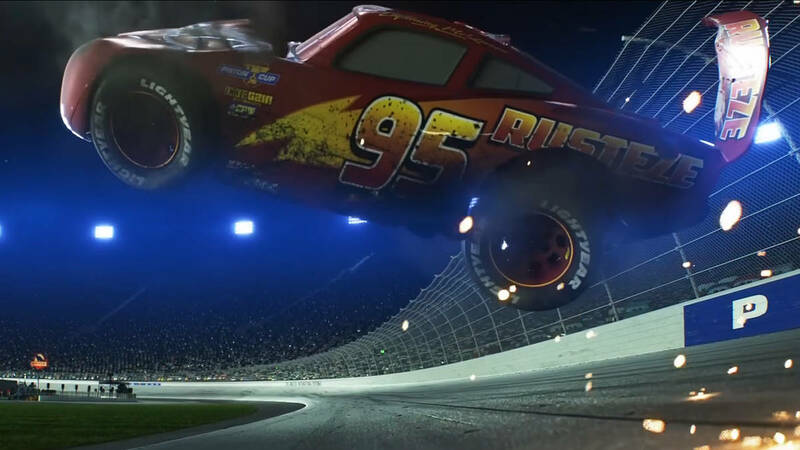 When the action starts, the tone is hopeful; but it then quickly changes to a more dire feeling— capturing the swelling emotion of McQueen's final race and epic crash perfectly. I like this track for its second half. It introduces, what I call, the "passing the torch" or "mentorship" theme. It's a really beautiful melody that I've had stuck in my head since I saw the film last night. This is a very soft, very tender track filled with emotion (at least until the second half where it gets more lively). It introduces what I consider to be Doc Hudson's theme (or the "Doc and McQueen" theme), which shows up at various times during the score. This melody, which is almost like a waltz, also makes up the equally as beautiful track "Letters About You" (Track 15). I like this one a lot. It's fun, upbeat and even has some more of those "swooping strings" that I love. There's even some twangy electric guitar and a muted trumpet played "wah-wah" style (very 1920's), which gives this track a really unique sound and feel. This is my absolute favorite track on the album and one of my favorite scenes in the film. It starts off with Doc Hudson's theme, but this time accompanied by some country style guitar and piano (which gives it a classic, hometown feel). It then transitions flawlessly into the the "passing the torch" theme, ultimately leading to both themes being blended together (very symbolic in a way). It's absolutely gorgeous, with equally as gorgeous visuals to match it on screen. For me, this one is just the epitome of classic and fun Randy Newman. I love how at one point we're even treated to western-esque style cue here which is very reminiscent of what Newman did for the western aspects of the Toy Story films (which repeats again in Track 19- Through the Pack). I love these tracks because there's a nice mix of the new aforementioned themes combined with most of (if not all) the classic Cars racing themes heard in the first movie. Man did hearing those bring the feels for me! Especially the triumphant victory theme heard during the final race in the original film—yup, it's back just like I hoped it would be. You have no idea how glad I was to hear that when I saw Cars 3! They nailed it...chills every time. To wrap things up, I think this is such a brilliant, well done score with so much heart. For the average person who may not be into scores like I am (or who doesn't really pay too much attention to them), they might listen to this only to hear something forgettable. In that sense, it's not groundbreaking (i.e. most people won't leave the theater humming the tunes like I did); but if you're someone like me who really appreciates the art of orchestral arrangements and musical storytelling, you'll no doubt understand why this score is so incredibly good. Beautiful job Mr. Newman! You've still got it. 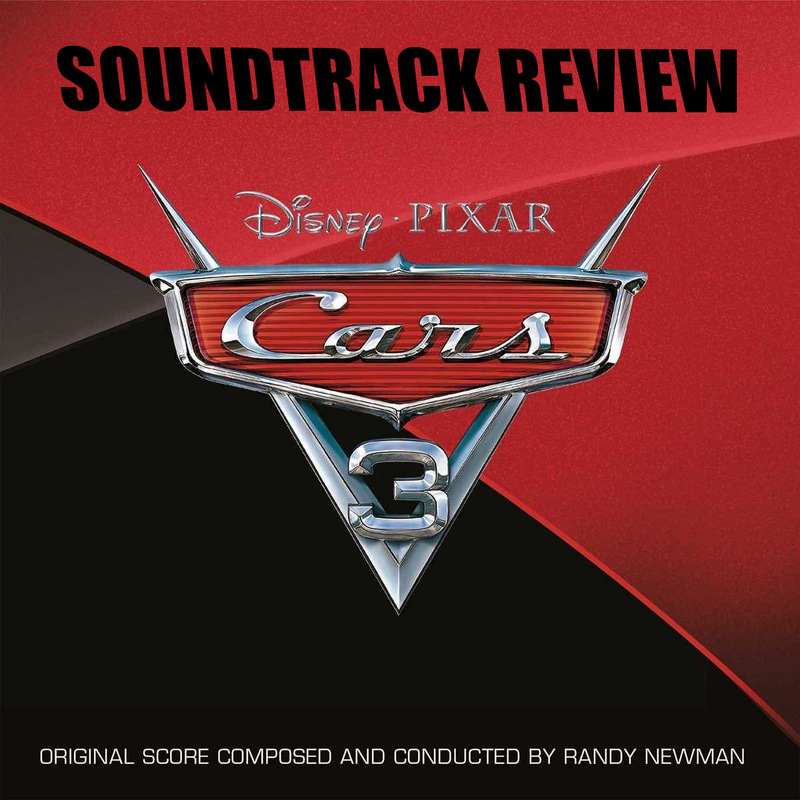 Pick up the Cars 3 original score on CD using the link below or be sure to download it digitally via Amazon or iTunes. Let me know what you think by leaving a comment here on the blog or through social media. Check back soon for my review of the SECOND (yes, there's two) Cars 3 soundtrack which features the more "mainstream" artists/songs heard in the film.